Tres Roeder lays out a system to help you succeed not only in your projects, but in any interpersonal relationship that requires a change in behavior. Tres Roeder’s 90 percent project success rate stands well above industry averages. Every organization goes through change, and every organization benefits from leaders with solid project management skills. Too often, managers come up with great plans for change and hand it off to their team for implementation only to see the project fail to deliver the expected results. This may not be intentional or due to lack of motivation; rather, many organizational shifts end in disappointment due to a lack of project management structure. 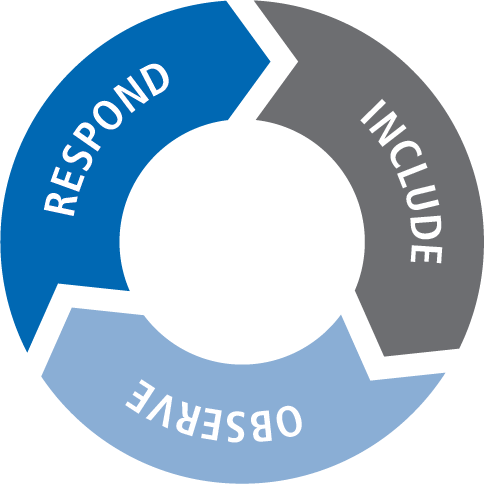 Using our cyclical approach towards overseeing positive change, known as “The Circle of Support,” we guide your business in the direction of lasting and effective change. Whether over a long or short time horizon, we have the tools to bring your business to its fullest potential. Even if all executives and stakeholders agree on a strategy, it takes more than collective belief to get things done. Effective project management takes the full implementation cycle of planning, acceptance, action, and observation to create lasting change in a business, followed by planning for the next implementation cycle until the best-fitting iteration is found. We take the burden of implementation off your shoulders. Managing organizational change can be difficult and uncomfortable, but Roeder Consulting puts client satisfaction and sustainable results above all else.